There is an intense war going on between the telecom operators in India. The major players Reliance Jio, Airtel, Vodafone and Idea Cellular are the flagbearers of this war. All the telecom operators are currently trying to woo their customers through a combination of offers on their shelves. The one common thing between all these offers is that they all come with unlimited voice calling that has now become a norm. Jio currently offers recharge plans starting from 1.5GB per day. Jio provides its users with 1.5 GB or more per day data. Jio's Rs 149, Rs 349 and Rs 399 plans offer 1.5GB data valid for different periods of validity. All these Jio Plans come bundled with unlimited voice calling and messaging services. 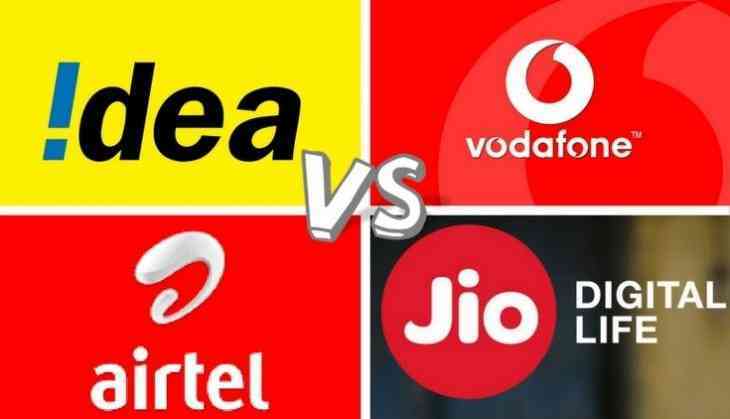 Airtel, being the largest player in the market in terms of the number of customers, is up in arms to take on the competition offered by the aggressive pricing policy of Reliance Jio. Airtel offers 70GB of 4G internet data on its Rs 399 recharge with a daily cap 1GB data per day. The plan is coupled with unlimited voice callings and 100 SMSes per day. Vodafone offers identical services for its Rs 399 prepaid recharge standing at 1 GB data per day for 70 days along with unlimited Voice callings and 100 SMSes per day. Idea's Rs 199 prepaid recharge plan offers 28 GB of 4G internet data valid for a period of 28 days. Idea offers unlimited calls and 100 SMSes per day as well. In terms of volumes of data, Jio still is the clear winner but one can't ignore the tough competition being put up by other telecom operators.